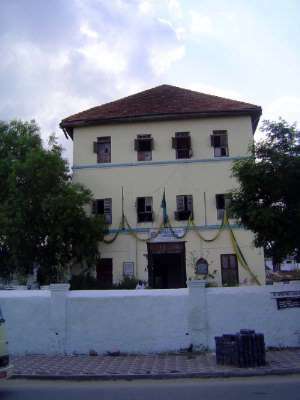 The sign over the door reads Zanzibar Tourist Corporation, but, as the smaller sign on the wall states, the building was once the residence of Dr. Livingstone. None of his furnishings survive, though one room has some display boards with texts about his career. In 1950, in a between-times life, the building housed laboratories for a clove-research organization. Cloves had been introduced to the island in 1828 by the first Arab sultan, but after World War II they were threatened by a fungal disease.